“The government interfered to sabotage several investigations that were carried out against corruption in our country. 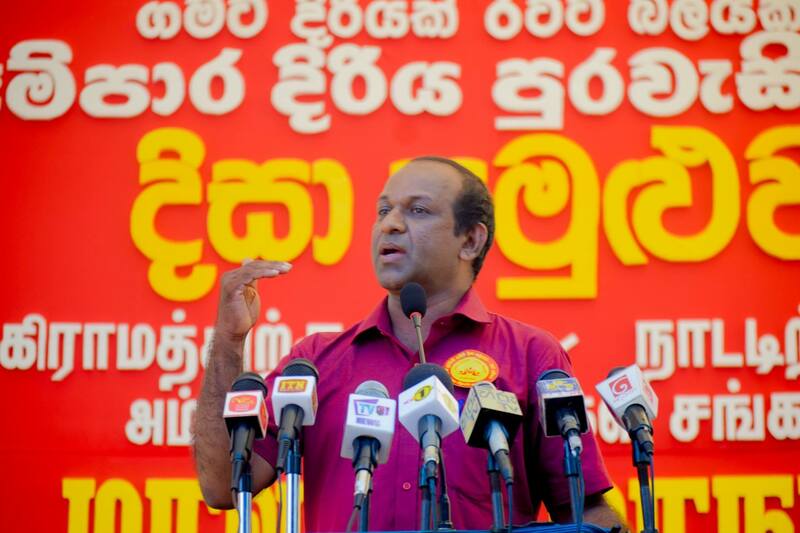 The same government is now attacking Minister Wijedasa Rajapaksa. Who protected the corrupt? Was it only Wijedasa Rajapaksa? No, all of them protect the corrupt and fraudsters. 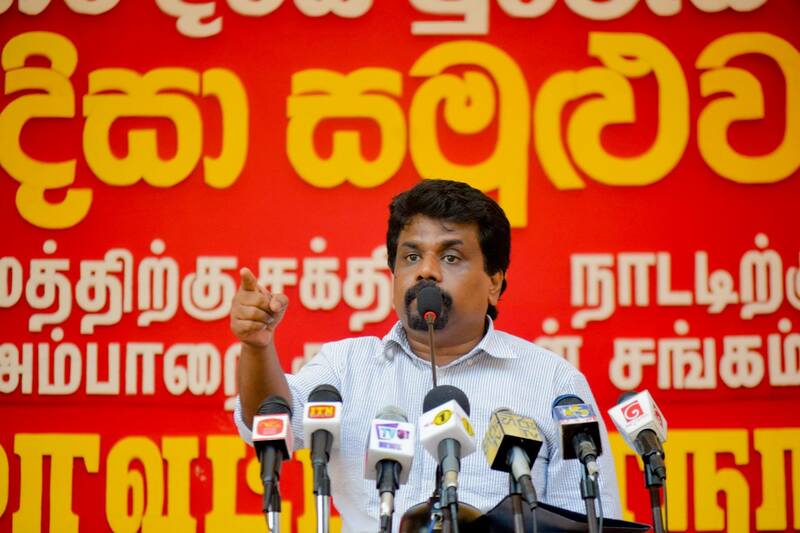 They not only protect thieves but they themselves are involved in thefts,” said the Leader of the JVP Anura Dissanayaka. 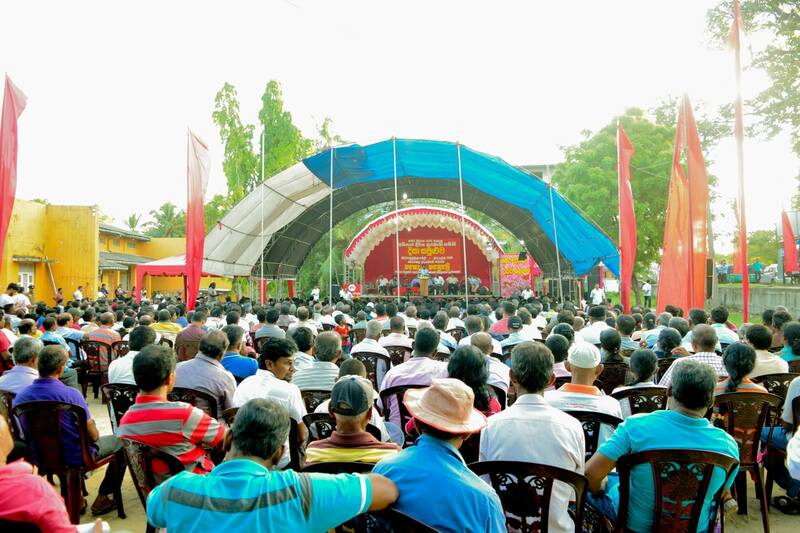 He said this addressing the ‘Dhiriya Purawesi’ summit held at Ampara yesterday (22nd) held as part of the series of summits being held by the JVP throughout the island under the theme ‘“Gamata Diriyak – Ratata Balayak” (Boost for the Village & Power for the Country). 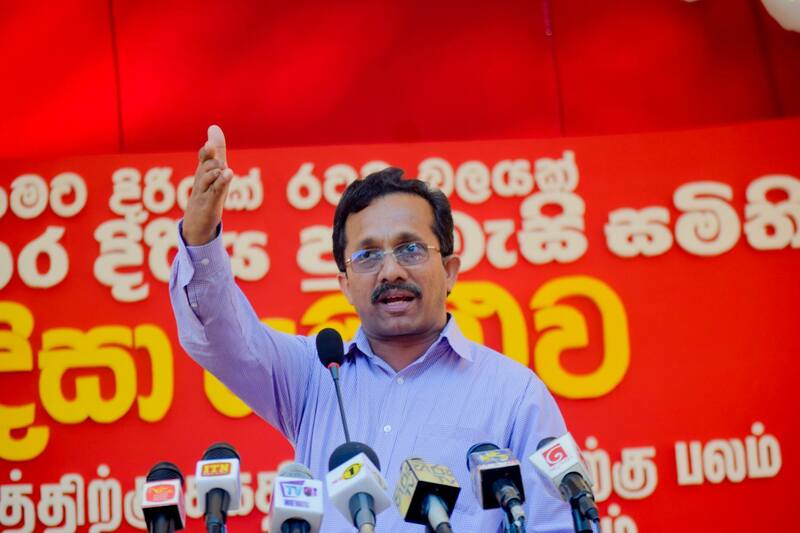 Speaking further Mr Dissanayaka said, “No thief would be punished by these administrations. Will Ravi Karunanayaka be punished? There are lands at 21 places to Shiranthi Rajapaksa, Yoshitha Rajapaksa and Namal Rajapaksa that have been bought within a few years. Similarly, Basil Rajapaksa has an 18 acre land with a large mansion at Malwana worth Rs. 300 million. If a villager is caught for a simple theft the police would interrogate him and would they believe if the villager says he got it from his grandmother? 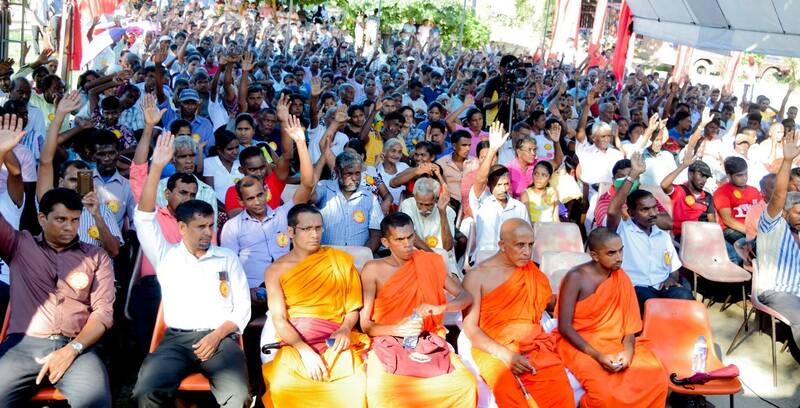 Do they contradict Rajapaksa’s when they come out with various excuses? This is why we say none of them would be punished. We would like to ask who was the person addressed as ‘Yes, Sir; No Sir; I’ll look into the matter, Sir; I’ll get the file, Sir; when former Basnayaka of Devundara was brought to FCID in connection with misappropriation of funds? It was Sagala who was addressed in that manner. That’s protector of thieves. Basil’s money is with Thiru Nadeshan. Did or not Mr Ranil Wickremesinghe call anybody when Basil was taken to Court? Tell it to the country. We know who was spoken to. 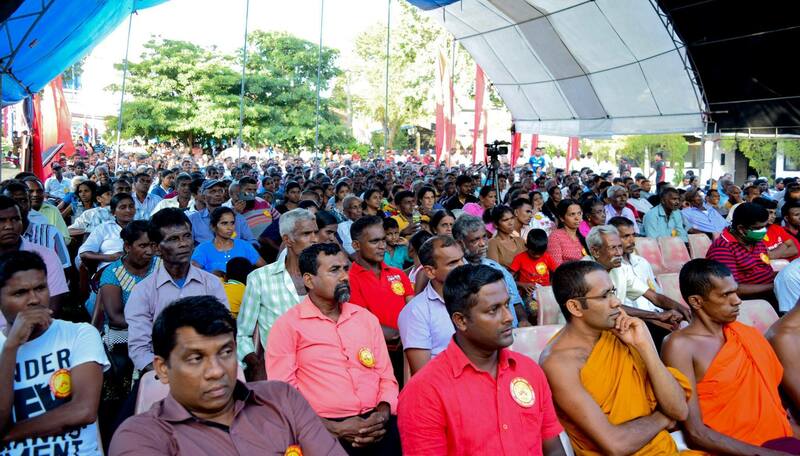 When Avan Garde deal that could have brought a good income for the country was given to Nissanka Senadhipathy Who did the likes of Gotabhaya Rajapaksa meet President Maithripala Sirisena with? It was Vajira Abeywardene who arranged the meeting with the gang of thieves. Who called the FCID and asked not to arrest Mahindananda Aluthgamage when he was due to be arrested after investigations? We know who it is. Of course, it was not Wijedasa Rajapaksa. The case had been made ready to be filed against Rajitha. The case was to be filed against Priyanka Jayarathna. A case was filed against Fouzy – a case filed against a minister for the first time in Sri Lanka. The next day Dilrukshy had to go home. Why was that – to stop the cases being filed against Rajitha and Priyankara. Anything constructive to sort this out with the Government, rather than listing details of fraud which are well known. Very impressive speech by Hon. A,D. Looks he is armed with facts & figures. The authorities should remedy these situations if they are genuine facts. You are ONLY a talker! 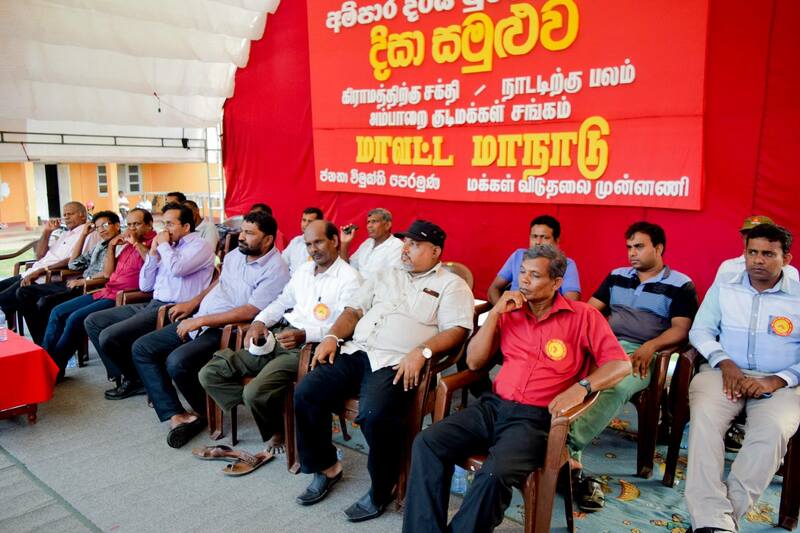 The JVP which was a part of the coalition against M.R and Co. were offered Ministerial positions. You famously refused and now you criticize !! Typical JVP.